At the end of 2012, I became aware of and Liked the Glasgow Marathon Facebook Page. It is a cause which has gained over 800 likers and their goal is to get the Glasgow Marathon reinstated. They’ll be talking with the relevant bodies in Glasgow and will be trying to promote the cause with the media to get the Glasgow Marathon back. (See more about the history of the Glasgow Marathon here). 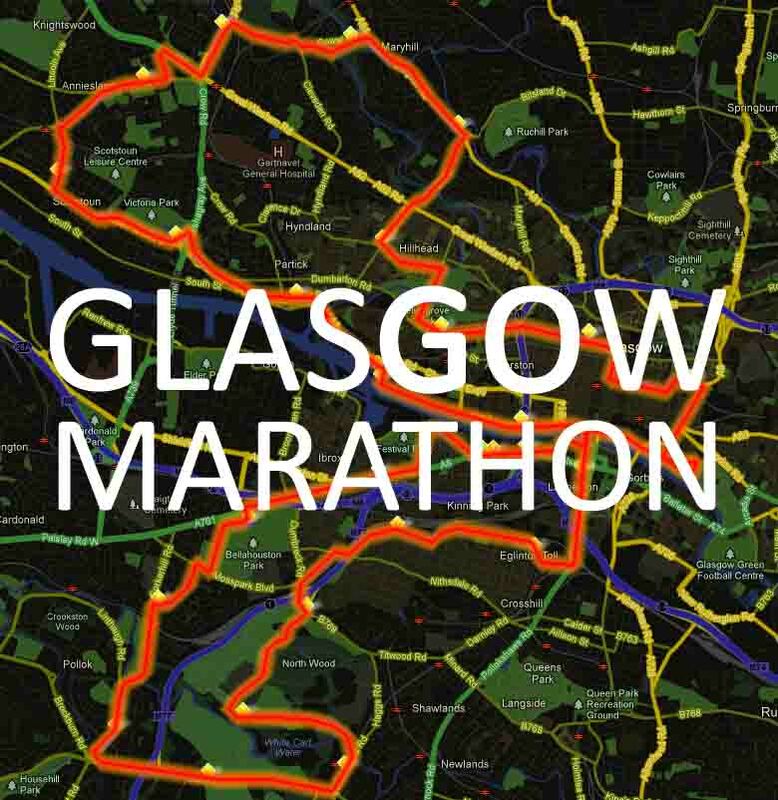 I decided I was going to train for and complete the old Glasgow Marathon Route. And if you are keen to get the Glasgow Marathon back, why not go Like the Glasgow Marathon Facebook Page? 🙂 And if you have any knowledge, suggestions or advice for the owners of the Facebook page, let them know by placing a comment. Here’s the link to the Glasgow Marathon T-Shirt PDF Design.